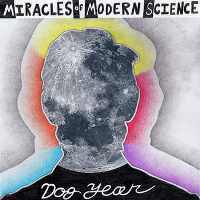 Considered as one of the best releases of 2011, Miracles of Modern Science paints a new approach in the unsuspecting indie rock landscape with their debut album Dog Year. Though they may be filed under indie rock, Miracles of Modern Science is surprisingly a Brooklyn-based string centered quartet composed of Evan Younger, Josh Hirshfeld, Kieran Ledwidge, Geoff McDonald, and Tyler Pines. What made this band stand out is how it tried to go beyond stereotypes of musical genre. Using only a violin, cello, mandolin, bass, and drums, the group implements these instruments into a rock and roll style rather than the predictable baroque styling. Boasting a quirky title, MOMS AWAY! opens the collection with a good bopping arrangement and youthful energy. This bright and enthusiastic piece will surely attract a lot of eager ears. Emphasizing with grandiose beats and kicks of rhythmic violin, Strangerous seems like it was concocted by a mad musical genius with the sole goal to create an eclectic piece that’s impossible to classify into one genre. In Quantum of Solace, the band slows down a bit while experimenting on dense and dark sonic backdrops. The seamless exchange between the male and female vocals is also a must-hear. Tracks such as Tensity, Friend of the Animals, and I Found Space take eclectic instrumentation into a whole new level. Press play and let drums, bass, and strings create an orgasmic explosion of funky, rhythmic music. In Dog Year, Miracles of Modern Science has created a solid debut album. Their unique approach to such classical instruments is an impressive feat that will surely separate them from the rest.